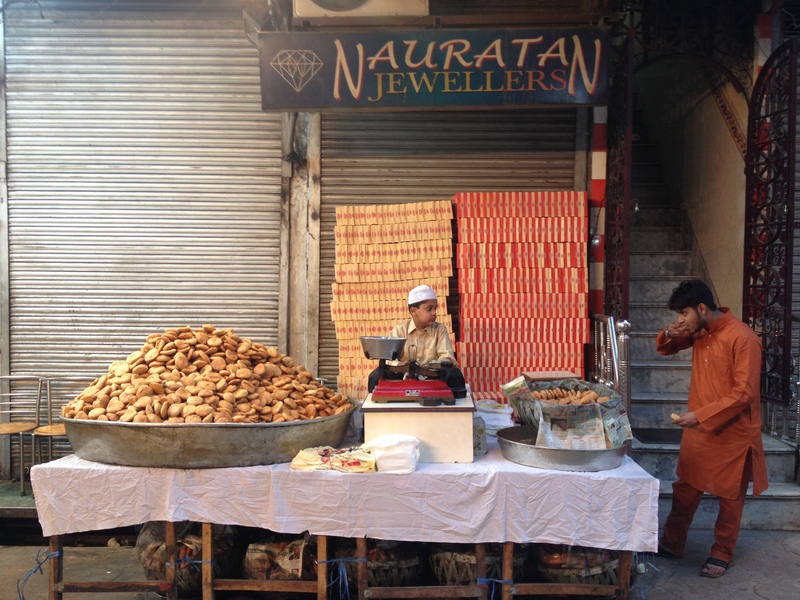 Recently, I’ve spent way too much time sitting at my desk writing about Old Delhi, and not nearly enough time doing what I love most – actually being in Old Delhi. 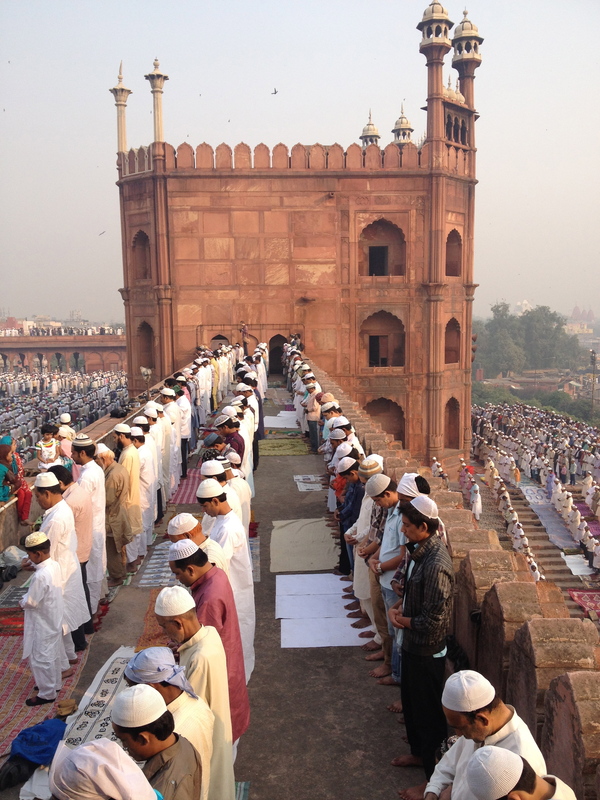 But yesterday, a couple of friends and I decided to try and catch the Eid ul Azha prayers at Jama Masjid . Thinking the prayers would be the first of the day, we dragged ourselves out of bed at 4, only to find the mosque closed. A policeman suggested we come back at about 8. A difficult moment. I’m not going to lie – at this point, still half asleep, staring at the locked gates of the Jama Masjid, the temptation to head straight back to bed was enormous. It was a very close call but somehow we forced ourselves to stay, and I’m so glad we did. Of course every walk in Old Delhi is an adventure but there’s something particularly special about watching the city wake up. First, though, we needed to wake up properly ourselves. We wandered down into a very dark and almost deserted Matya Mahal and found a tea shop. Several sweet chais and omelettes later, and after quizzing every Muslim customer about the exact time of prayers, we were ready to take a stroll. 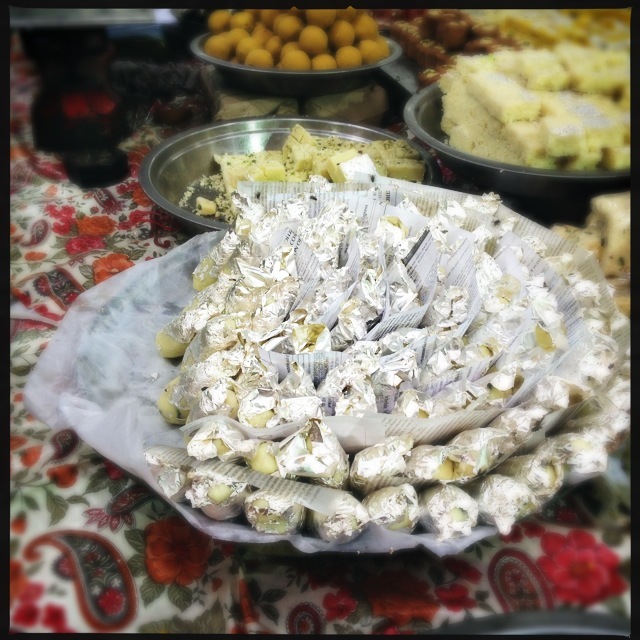 The beautiful emerging light showed off the dazzling sweet displays which people would later give as Eid gifts. 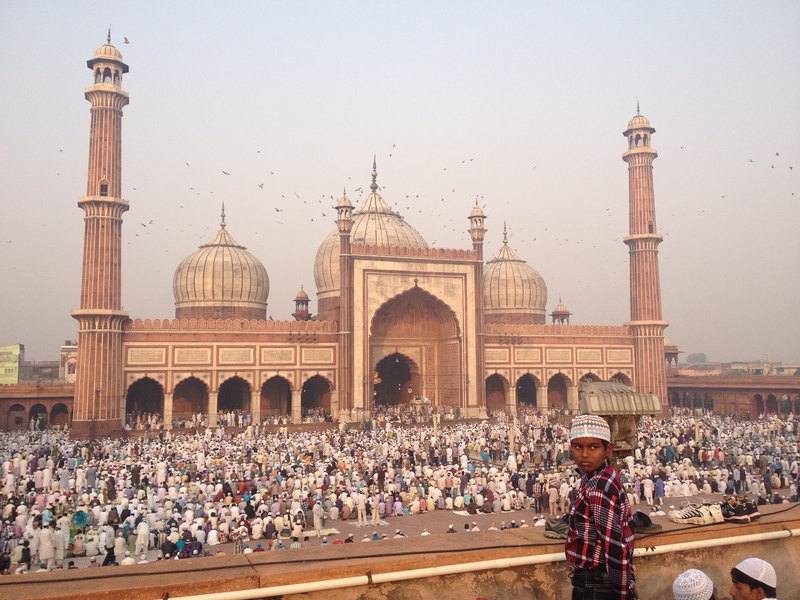 The soft, barely audible sounds of the mosque and gentle rhythms of the prayers were mesmerising. 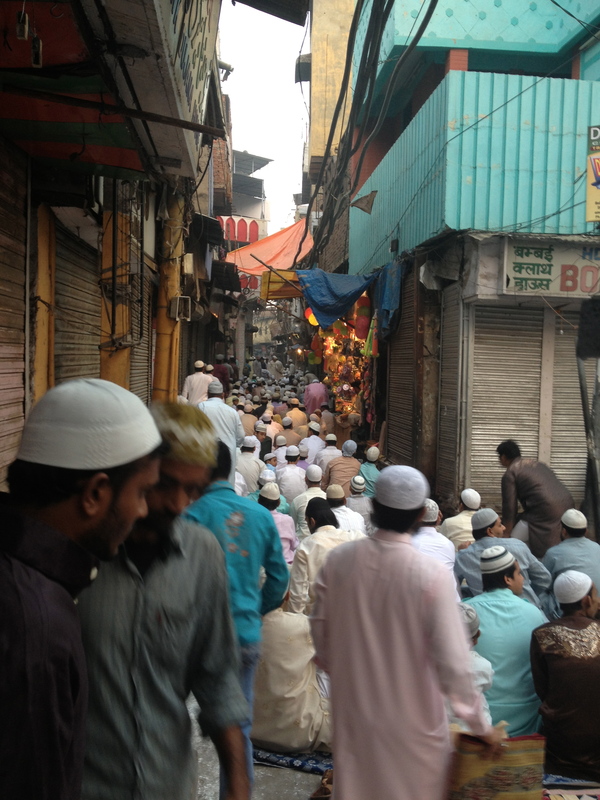 As the line grew and we were pushed further and further down the street, we realised we couldn’t get back to the Jama Masjid without disrupting the men’s prayers so we looped back through the tiny back alleys, where we joined hundreds of men in fresh white kurtas all heading in the same direction. Eid ul Azha, which is also known as ‘Bakra’ (‘goat’) Eid is one of the most important dates in the Muslim calendar. It commemorates the moment the Prophet Ibrahim’s faith was tested when Allah asked him to sacrifice his son Ismail. Allah replaced Ismail with a goat at the last moment hence the tradition of sacrificing a goat immediately after the Eid prayers. The meat is then distributed among family, friends and the poor. 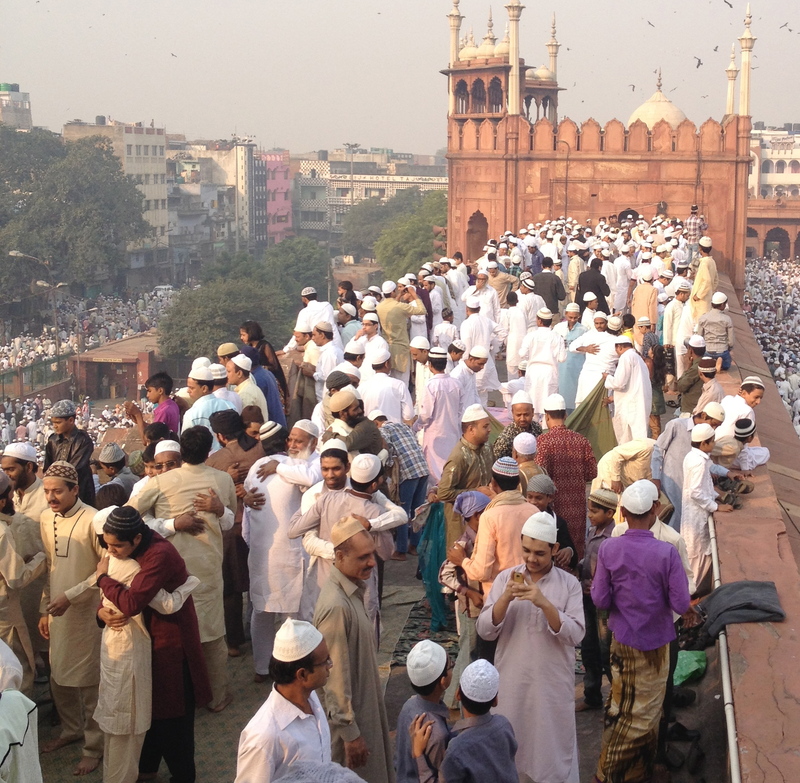 At the mosque we were shown into the ‘press gallery’ a raised platform with the best view in the house. The mosque was full (it can hold up to 25,000) and even beyond the walls, every bazaar and piece of open ground was filled with neat rows of worshippers. 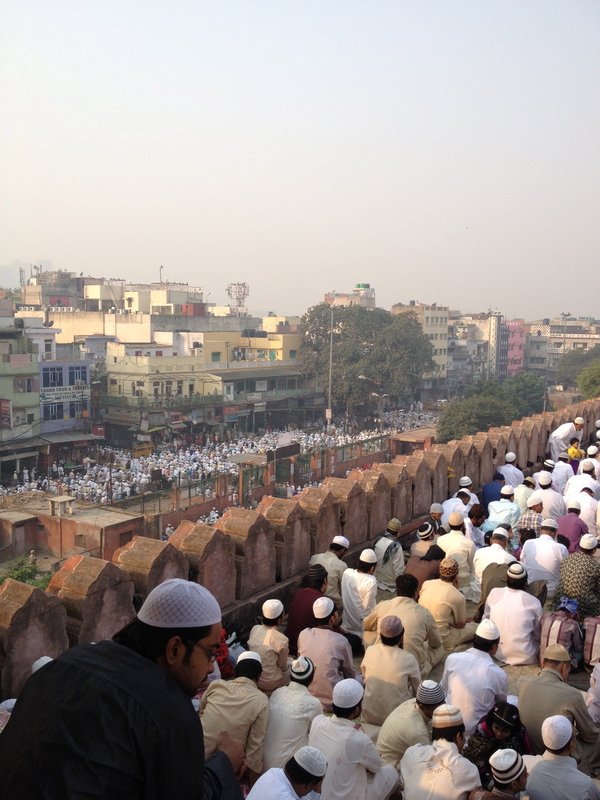 When the prayers started, everyone, inside and out, moved in a single wave. 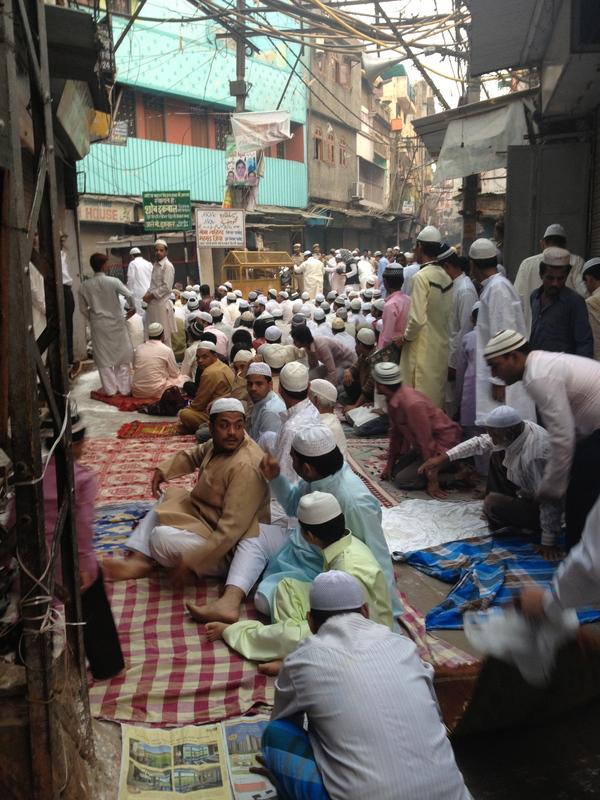 Sitting high above the bazaars, it felt as if the soft prayers had the power to silence the city. 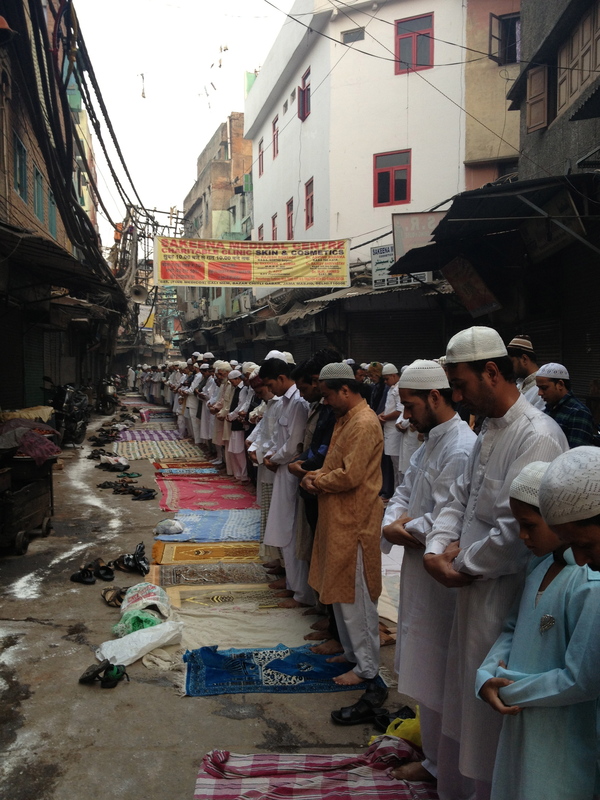 At the end of prayers, everyone turned to their neighbour and embraced. Eid Mubarak! 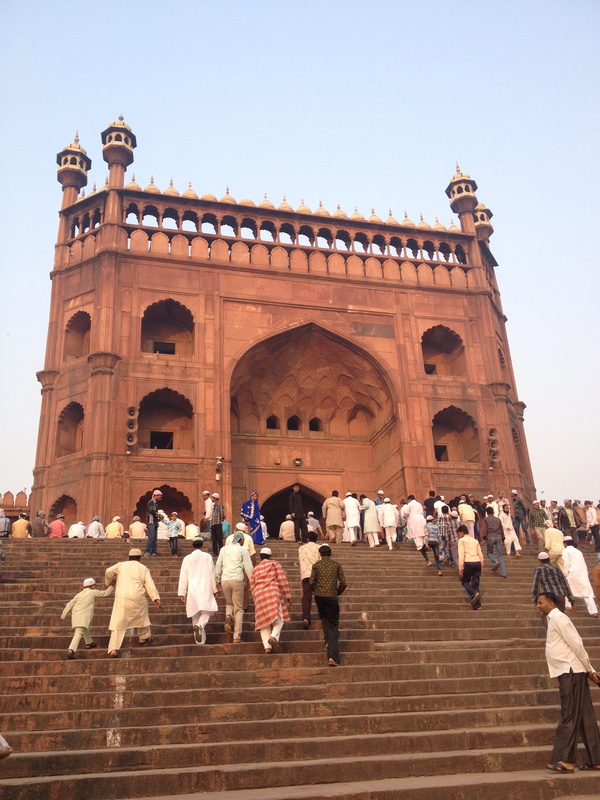 * ‘Sheher’ means ‘city’ and is the name for Old Delhi used by residents and former residents. It refers back to time when Shahjahanabad was the only city and everything beyond the city walls (where New Delhi now lies) was wild jungle and primitive villages. Fantastic. Wish I could have been there, too! Chai time very important too! you described that morning so well and with such great photos, loved reading it. 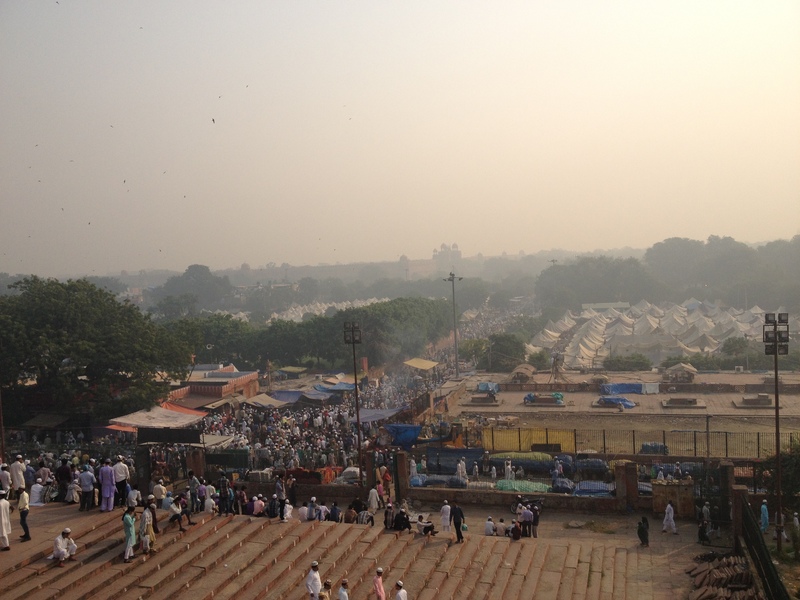 I have only been to Old Delhi once for a few hours and hope to get back there one day. 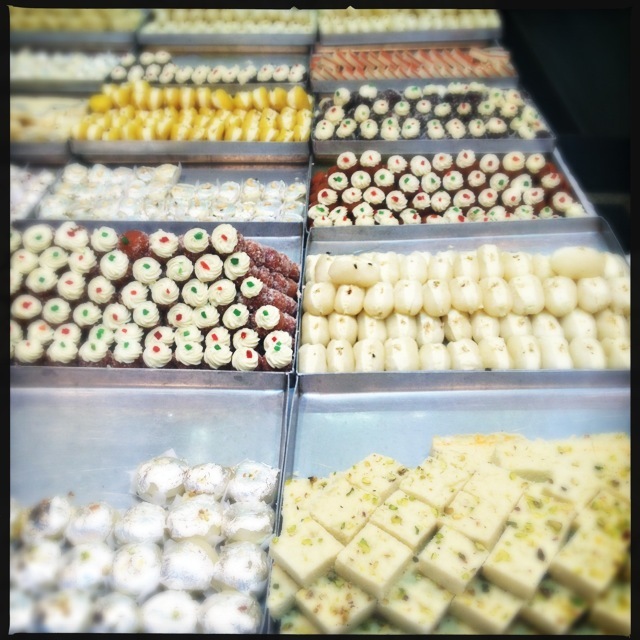 Aww… where is the “post-eid” report.. i am pretty sure you didnt end this trip without another round of matia mahal delicacies … How’s your book coming along .. BTW ??? Thank you for the wonderful description for those of us far, far away! So glad you rousted yourself out of bed. 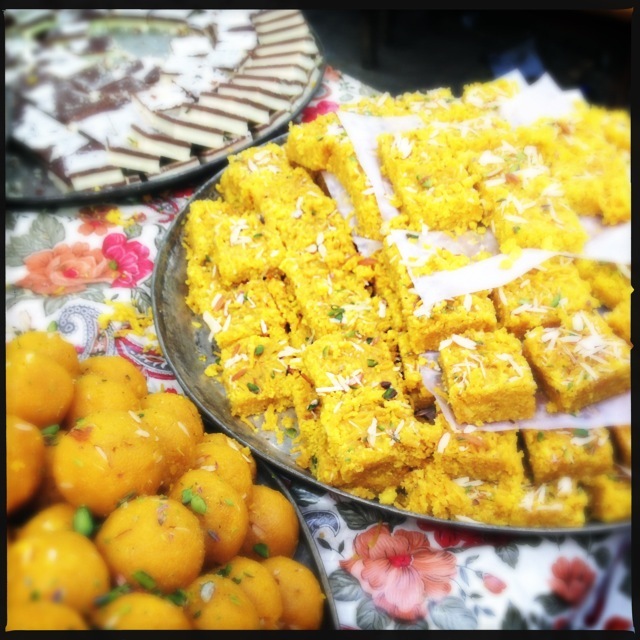 Hi Naren – actually, we had a bedmi aloo, nagori halwa breakfast in Sitaram Bazaar which was also delicious! Book is coming along – slowly! Hi great Picts and experience. I just came to visit India and been wondering how safe or not is it to carry a camera around. Have you had any issues? I care more anout someone trying to actually still you directly with a gun or knife or a mosh of people. Pick pockets and grab and run are common all around the world so dose are not the problem. Every time I am down, this is the place to be. And am not even a muslim. Inexplicable, at least for now. Just the article I was looking for. 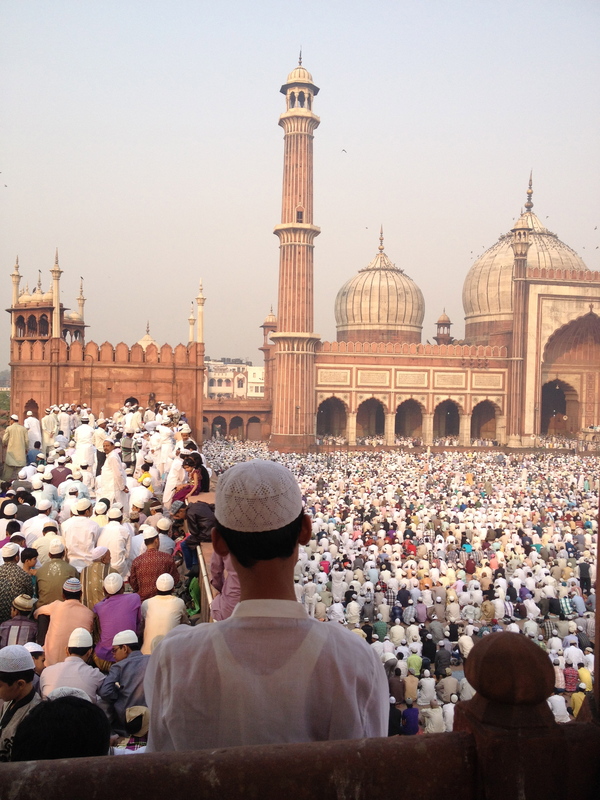 I had been intending on witnessing the Jama Masjid Eid gathering ever since I set foot in Delhi, and this did give a glimpse into what to look forward to. Need to set the alarm to 4am, and the earliest metro! Thank you for sharing this. The human emotions behind an unknown world (my ignorance) is so moving.